Saving up for retirement, a house, or any big purchase can seem incredibly daunting. Like most things, it is far easier to take on a big project in little steps. During America Saves Week, try planning a budget for the next six months where you set aside money every pay period—it does not have to be a lot of money immediately, so long as you train yourself to set the money aside. At the end of the six-month budget, look at how much you could save using this plan—and try to stick with it! If you know how much money you would like to save up, work backwards—figure out how long you would like to put money aside, and then figure out how much money you would need to set aside every pay period to meet your goal. 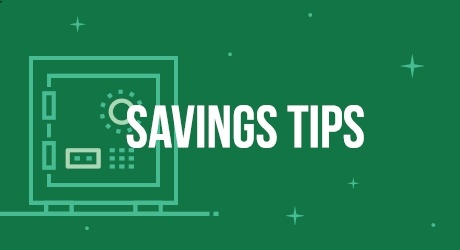 An easy way to make sure you are saving your money is to make it automatic, so that you do not have to actively think about transferring the money to a savings account. Set up direct deposit with your employer to send a portion of your paycheck to a savings account every pay period. By automating the process, you are more likely to save the money than you are to spend it, and there is no effort required on your part beyond the initial set up. You can also automate your contributions to workplace benefits and savings plans like a 401(k) or an Individual Retirement Account (also called an IRA). The more you save now, the more you have later! Throughout the month of February, the Credit Union will be offering tips and workshops to help you grow your savings. Ready to reach your savings goals? Join the Credit Union in participating in America Saves, a national effort to set a savings goal, make a savings plan, and save automatically.